A couple of years ago, bigwigs in the forestry industry and the Department of Agriculture got together to consider how to "sell" the idea of planting farmland with forestry. Planting targets are not being met, despite grants so generous, the government might as well be buying the land outright and putting it under trees. But farmers value their family heritage more than suits in Dublin could imagine. They value what their parents and grandparents fought for and worked hard for. They do not rush into quitting their farmland because private forestry interests or a minister tells them its the right thing to do. Added to that inherent value is a realisation that the model of forestry in Ireland just basically kills the community in many areas. After your 15 years of grants are over, good luck to you. Take a drive through any heavily forested area for yourself some time. It is quite shocking and not many know about it, because there are not many there to tell the tale!! Nowhere has the proliferation of forestry had more of an impact than in parts of East Kerry and North Cork and West Limerick. Have a scan of these areas on Google Maps satellite view. More than 50% of the land there is under forestry. This has currently been stopped, since the EU judged Ireland's use of taxpayers money to continue to destroy the remaining habitats was contrary to European law. Of course, foresters (and some politicians who obviously consider there must be votes in those deserted areas of forestry!!) don't like that and they have got together to push the forestry agenda from every angle. Lobbying government, ads on the radio an in the papers, etc. etc. This below contains excerpts from Radio Kerry's agritime show, aimed at farmers. This interview contains Trump-like ascertains that sitka spruce is the biggest tool Ireland has against climate change. Hell no its not! Peatlands are by far and away the greatest resource we have in that regard, yet the guy has an issue with environmental regulations. Forestry has been a real success story here according to him, yet the dogs on the street know what a shambles it has been. Very little native trees, a dominance of non-native green concrete. Remember, in other European countries, Sitka spruce is now classed as an invasive species! Really, there is no need to go on, let this guy speak for himself and make up your own mind. There has been a lot of media coverage in the past couple of weeks about concerns that excessive levels of industrial forestry are ruining landscape, nature and communities. This is not a new subject by a long way. These real concerns have been around for decades by environmental groups and by people who have found themselves isolated in what have been termed “tall green deserts”. The recent media coverage is perhaps a reflection that politicians are becoming exercised about the issue now, in addition to local communities and environmental groups. Notable among these has been Marian Harkin, a Member of European Parliament. It takes a while for what is happening in Breandrum to filter through to Brussels. 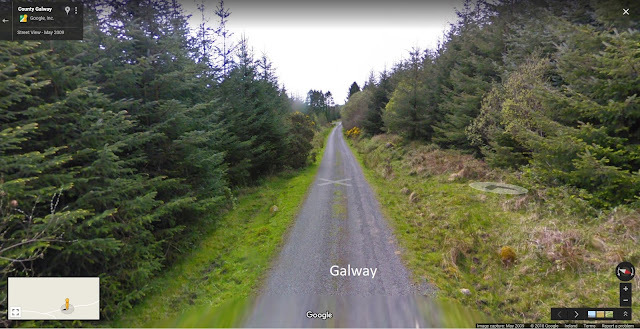 The media coverage is also perhaps symbolic of the crossroads at which rural Ireland finds itself, particularly in the less agriculturally rich areas like the west and northwest and the uplands. 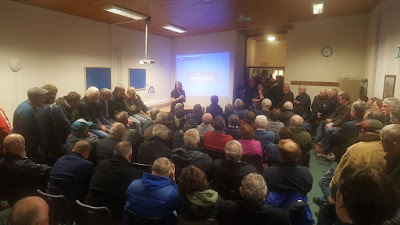 A perfect storm is brewing with suckler farming viability through the floor, Brexit looming, and Government continuing to push forestry in a big way (mainly to offset the increased carbon emissions associated with expansion of dairy…although that theory is debatable and is being debated). 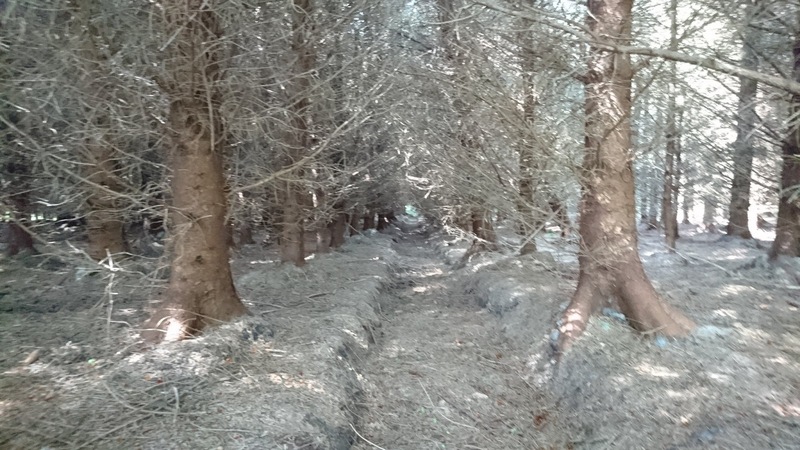 Do we want to see a rural Ireland smothered in Sitka Spruce, owned by investors in Frankfurt and London or God knows where? This is essentially what is happening and is likely to happen more and more. Ireland recently celebrated the 1916 rising and all that stood for, and the links to land ownership are so strong for farmers. It is clear that none but the vested interests (including some politicians and even representatives on farming organisations) would prefer a ‘Sitka Spruce State’. There is a growing recognition that farming and environmental interests are not and should not be strangers; they should be married! Environmentalists, particularly conservation groups are realising more and more the importance of farmers in managing and providing environmental goods from carbon balance to clean water to biodiversity, landscape and pollination. Note the term “managing and providing”. It is not a given that farmers automatically provide these by virtue of their practice; the type of practice is obviously the underpinning influence and can be either positive or negative. But environmentalists are awake to the fact that the farmers are the most important people in the equation. Oftentimes the most important areas from an environmental point of view are considered ‘marginal’ land. A lot of Irish farms are considered ‘marginal’. That really says it all about where we have got to in Ireland over recent generations; the most important areas are ‘marginal’. Marginal to agricultural production; but agricultural production is not everything, it is not the be all and end all and that is where mindsets need to change and this is the space where future thinkers have been for some time. ‘Marginal’ areas by their very nature will never produce the quantity of agricultural produce possible in ‘the good land’. Economies of scale dictate that farmers in marginal upland areas simply cannot compete in the same market as farmers in highly productive areas. So future thinkers, including farmers in these areas, are considering what is best to sustain what generations before have created, in terms of a landscape, community and local economy, because at present it is crumbling. So what is the solution? A new market; that of the environment. They have considered that sustainability is a stool with three legs – environmental, social and economic. While all three are equally important for a thriving rural Ireland, environment is the foundation on which it all depends. Rather than continuing what has been the trend since entering the Common Market, with small farmers being bought out by the big neighbour or abandoning their land and planting with spruce, farmers are opening their eyes to the fact that the provision of environmental goods and value-added produce has to be the way forward for these areas if they are to survive as a thriving farming landscape with a social fabric. Farmers in a number of areas are aligning themselves with environmental groups and agri-environmental projects. Such projects would be truly sustainable in their aims, given the balanced input and knowledge sharing between environmentalists and farmers (and by the way, environmentalists can be and often are farmers and farmers can be and often are environmentalists). This is not what can be said for the vested interests who push forestry plantations as ‘sustainable’. They have highjacked that word and anyone who cares to take a drive through the Sliabh Aughty Mountains or Mullaghareirk Mountains can see that for themselves (the three legs of environmental, social and economic have been cut off…only a stump of ‘economic’ exists and that money does not circulate much locally, rather outwards to Coillte or private investors). If they were planting native trees in the right places, that would go some way towards redressing the balance, but the quick buck is what drives their decisions. So too the climate that the Government has created for this proliferation of inappropriate forestry has exacerbated its rise and the loss of small farmers, biodiversity and local communities. This policy is coming under scrutiny. Local, social and national media are turning a spotlight on the issue and examining what is happening and what has happened. Buried in this picture from the Mullaghareirk Mountains is a derelict primary school. There is no longer any community here. The foregoing points are ones that readers of Hen Harrier Ireland will be very well used to seeing from us over the past 5 years or so. 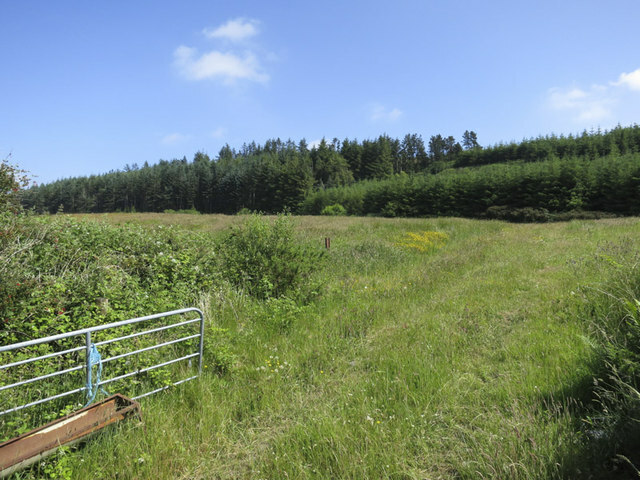 Others like the Irish Raptor Study Group and Birdwatch Ireland have for a long time now advocated for a brighter future, even when others including farming organisations have lobbied for more forestry. A common question asked by the environmental protagonists has been “how has that model of forestry helped your local area in the last 3-4 decades?”. Bringing it back to Hen Harriers, these amazing birds are indicator species. They indicate that there is a suite of other wildlife species including small mammals and small birds that they would not survive without. These small mammals and small birds would not be present without suitable habitats. In Ireland, the management of these habitats is dependent on farmers. So there is a direct and straight line between the Hen Harrier and the farmer. The proliferation of forestry in Hen Harrier SPAs to a staggering 53% has correlated very closely with the decline of Hen Harriers, the decline of biodiversity in general and the decline in small farmers. 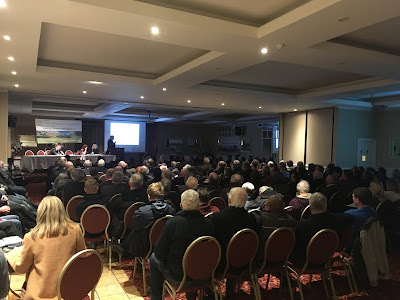 While it is right that the media shine a spotlight on areas like Leitrim and West Cavan where spruce dominated forestry cover is over 15% (85% unplanted), it would be worth someone travelling to the Hen Harrier SPAs (47% unplanted) with a camera and microphone to talk to the people that live up there; people who have been cut off from neighbours, people who have seen the views from their younger days deleted, the bird songs silenced and the fish in the rivers removed. Communities replaced by more than 200 million spruce trees. The last remaining farmers and communities in these areas are so precious and need to be supported properly, yet their voices are not being heard. The lazy narrative to date for these areas has been that the local farmers are up in arms, that they want more forestry; whereas the reality could not be further from the truth. This narrative has come from a relatively small minority with a narrow aim, making a lot of noise (and a farmer vs bird story is a tired old staple now at this point for some of the Irish media…let’s be forward thinking). Oftentimes, those making the noise don’t even live in the area and those reporting on it have never set foot there! The recent meetings against forestry in Carrick-on-Shannon and for the Hen Harrier Project (a new €25m injection into Hen Harrier SPAs to help farmers help Hen Harriers) in Scarriff visually represent the reality. Farmers want to farm. They want to pass on the land that was inherited from their parents to their own children. If given their choice, they will take an exciting agri-environmental scheme any day over a death knell forestry scheme. But as it stands, the Government are stacking the odds in favour of forestry and against farmers and biodiversity. They put greater money and duration of investment into forestry. They artificially inflate land values to the point that local farmers can’t compete with private investors when land comes up for sale and to the point that when forestry is stopped in designated areas for environmental reasons, that the value of land is de-inflated. The Forestry Programme has been a disaster all told. Even perhaps those that designed the Forestry Programme would consider it disaster in that it has failed to come anywhere near reaching its targets (yes, they wanted even more forestry!). It is now time for our politicians to be forward thinking and put the resources earmarked for industrial forestry into agri-environment and climate actions (which can include appropriately designed and targeted planting of trees). Put that money directly into the pockets of the most important people; the farmers who can manage and deliver appropriate management of upland peatlands for carbon and water, manage and deliver habitats for biodiversity, supply clean water from the upper reaches of river catchments, alleviate flooding, etc. and in being rewarded, keep local economies turning. Politicians can be guaranteed that if the same money per hectare or even less was pumped into such schemes as is the case for forestry, and that if these schemes were offered on a 15-year basis as forestry is, there would be massive uptake, far more than for forestry. This would not only be far more popular (which is what politicians will look for first), but it would also be far more meaningful, sustainable and worthy. It might take a leap of faith for some farming organisations or individuals who have had an entrenched position to date, to work with the environmentalists, and likewise for some environmentalists who have had an entrenched position to date, to work with the farmers, but if there is to be survival, there needs to be evolution and adaptation. Many have already bolted from the starting line in pursuit of a sustainable future vision. If these two groups come together and marry, to have ‘marginal’ areas properly represented by politicians and to put such areas at the centre of all that is good in Irish Governmental policy, there is hope. Otherwise all sides will lose and all will be lost. The social and natural heritage which we cling on to the remains of today, lies in the balance. Just in case there was any doubt! 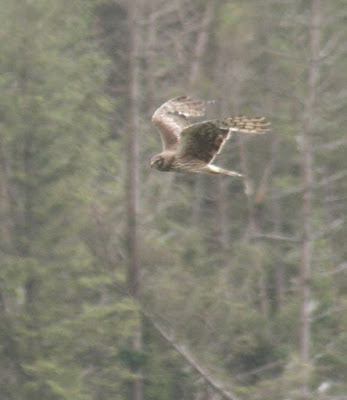 Forestry is the greatest negative driver of Hen Harrier population decline in Ireland. Farming and Hen Harriers – from the ground up. 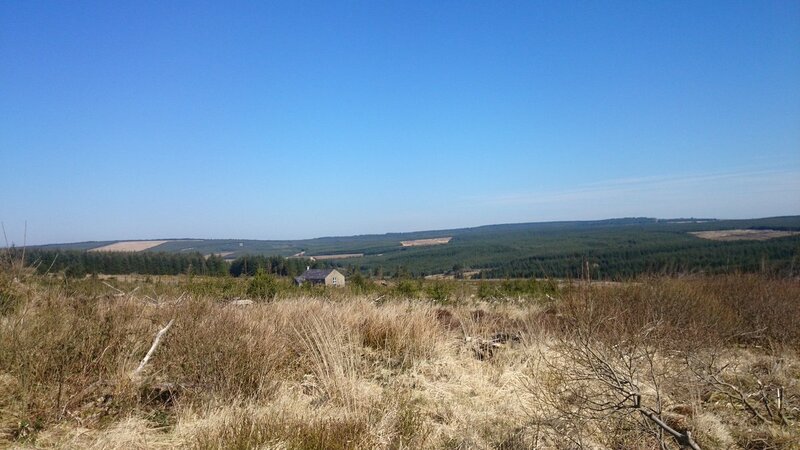 A post describing from the ground, the losses of nature associated with commercial forestry including Hen Harrier, Curlew, Red Grouse, Skylark, and many more. Also the real impacts on local communities after 40 years of experience. Any questions? Take a drive to parts of any of the Hen Harrier SPAs! 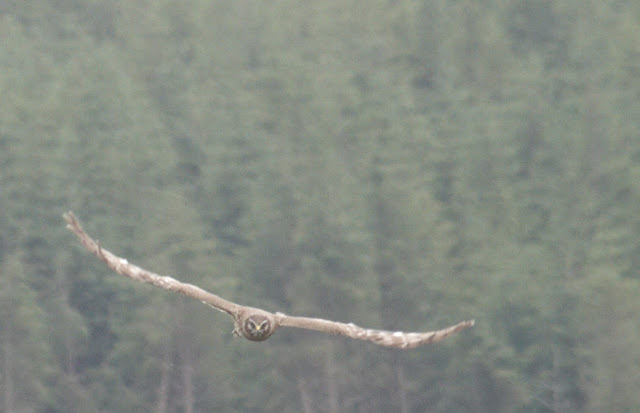 Some observations from fieldwork on Hen Harriers including two of the lesser known effects of forestry on Hen Harriers, increased predation risk and direct disturbance (nest loss) from forestry operations. The largest and most obvious downside of afforestation is loss of natural and semi-natural habitat for the Hen Harrier and various other upland species. Just before Hen Harrier chicks are due to fledge, they are often predated, to an extent that is driving population decline. Predation rates are higher in and near forestry. A response to a highly irresponsible article from a journalist on the Irish Farmers Journal, saying that forestry could be the saviour of Hen Harriers, when various books and scientific papers and evidence from the ground says otherwise. With the increase of forestry in Hen Harrier SPAs going from 0% to 52% in a number of decades, the journalist might have asked himself the basic question why Hen Harriers are not now flourishing in these SPAs, but instead decided to write an article devoid of facts or reality. 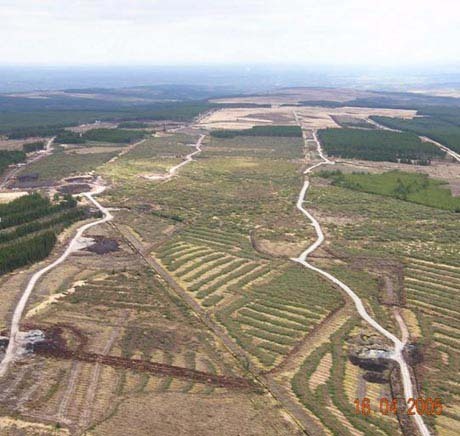 Soon after this article, one of the authors of a book he mis-represented wrote into the Irish Farmers Journal to state the reality of forestry being negative for Hen Harriers, where he stated: “the opposite has been the case with the blanketing of large swathes of our uplands with mature forestry.”! At this time of year, it is awesome and inspiring to see Hen Harriers congregate together at communal roosts. To know that your recording of the roost watches is going directly towards informing the Irish Hen Harrier Winter Survey gives as much pleasure and satisfaction as watching the birds - especially for those who really care about conservation and the future prospects for the species in Ireland. This is more than just bird watching. I undertake roost watches for the survey coordinator Dr. Barry O'Donoghue and I, along with a number of other hardy souls, have been watching Hen Harriers for the past 8 winters in the Kerry/Cork/Limerick border area - mountain, bogs and rivers country. Throughout this season so far, things have been fairly slow, but the past week or so have seen an influx of Hen Harriers to my roosts (possibly from outside of Ireland?). In the three main sites that I watch, I have seen a total of 17 birds in the past few days! At one site, there were at least 11 harriers. Awesome and inspiring as I say and a honour to witness. 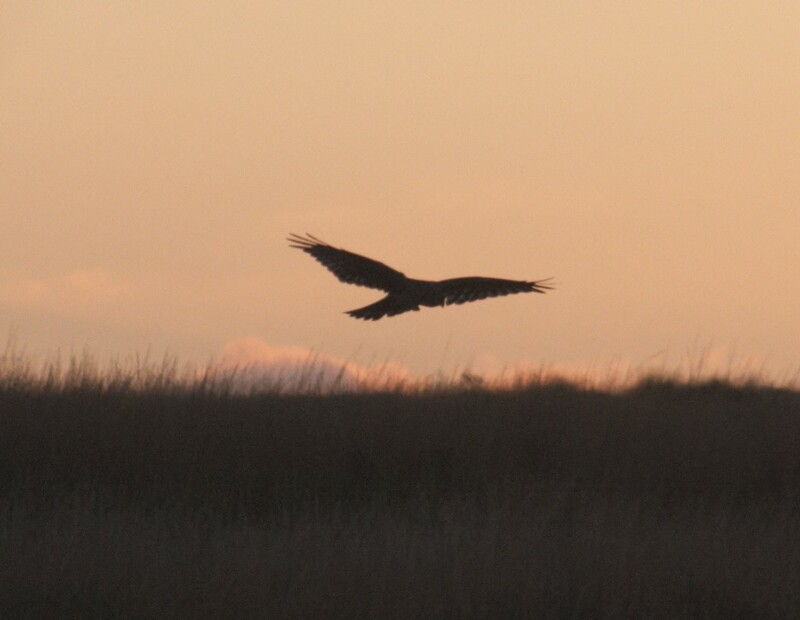 Watching the harriers pass around together over the bogs on these winter evenings makes me forget almost everything from the day of work or normal everyday happenings. However I am often jerked back to reality with the realisation that these sites are all experiencing different threats and pressures and a number of sites that I used to see harriers at are no longer occupied. 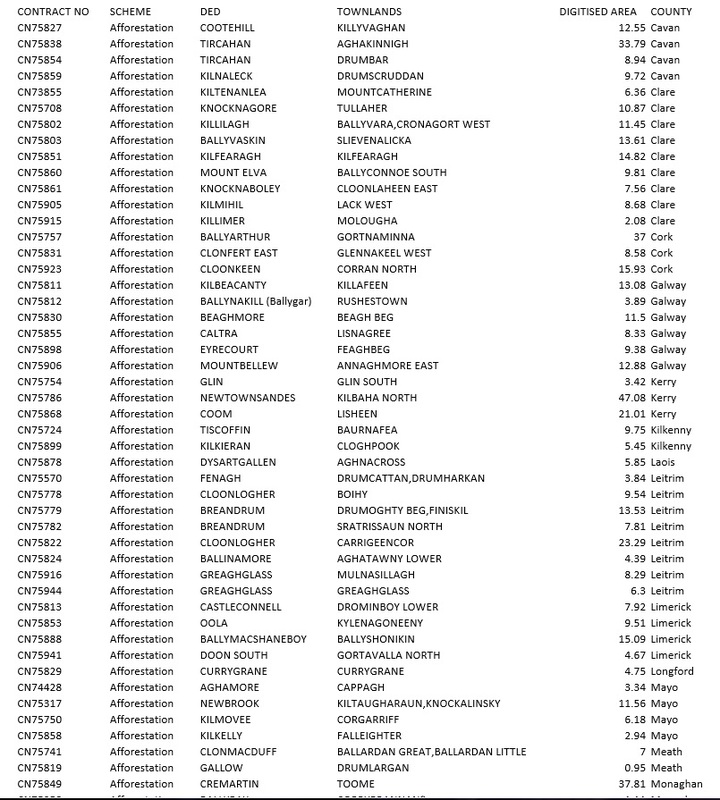 Ironically one of the threats in recent times seems to be from 'birders' who have been exposing the location of a roost by their words and actions. While some sites can suit wider public attention and public knowledge, it is imperative that the sanctity and confidentiality of most roosts is upheld (especially in areas where Hen Harriers have been shot) and that people claiming to be in it for the birds actually consider their actions and impacts. Even well meaning people can inadvertently disturb these sensitive birds - especially when no care is taken to maintain a low profile (standing out in the middle of the roost is obviously not a good idea!). Harriers have enough problems as it is! 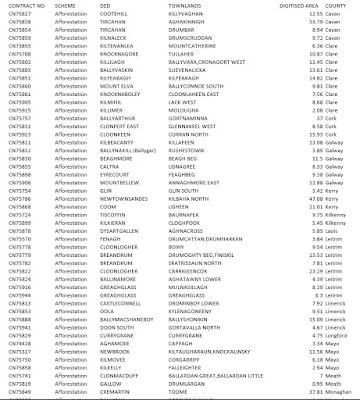 I look forward to continuing to contribute to the Irish Hen Harrier Winter Survey as I have been for many years and deriving pleasure from watching the birds, and also from the knowledge that my records are informing a broader picture as to what is happening to the Hen Harrier population in Ireland. Work on the Hen Harrier Diaries commenced on the 28th of February, nearly six months later it has finally come to a conclusion it has been a disappointing year to say the least, with only two of our six pairs managing to rear young (with four chicks reared in total). Below is a summary of the pairs. Penny set a high standard in 2015 rearing three chicks, a remarkable achievement for her first breeding attempt, this year she faced many obstacles from human disturbance (someone who clearly doesn't have any consideration or knowledge for wildlife taking photographs and clearly disturbing the mother who should have been tending to her chicks), bad weather to forestry work taking place in close proximity to her nest. But against all odds this amazing bird managed to rear two chicks this year, the young harriers have now dispersed to explore the world, we wish them well and hopefully someday they will return and rear chicks of their own. Pair 2. Heather's Mom and Dad. As reported in previous updates our hunch was in fact correct, Heather's Mom and Dad were not successful in their breeding attempt this year. We believe they failed in the first weeks of early chick stage, with predation was the most likely cause. The odds are really stacked against this pair with the majority of their territory now a green desert of sitka spruce. This vast area of forestry is home to numerous predators and is forcing the birds to travel huge distances to forage. This sustained absence is when the young chicks are vulnerable to predators and is heartbreaking to watch. It is clearly no fault of the birds, and with a bit of luck this pair can be more successful next year. It seems the intrusion from other Hen Harriers changed the minds of this pair and they abandoned their breeding attempt early in the season, while the male remained in the territory for several weeks it appears all the activity proved too much for the female and she abandoned early on. This was really a disappointing turn of events for this pair as they have been one of our most productive pairs over the last number of years, lets hope 2017 can be a better year for the specialists. It turned out to be a brilliant year for this pair, they managed to rear two chicks and both were females, despite deciding to nest less than 50 feet from active turf cutting (this is their second year rearing young in the same location, with turf cutting active both years). These chicks were the first to fledge in 2016 and they remained in the area for several weeks before finally deciding to venture into the world on their own, lets hope they stay safe and one day they return. Unfortunately this pair also didn't make it this year, we can't say for sure but predation was the most likely reason for failing, this pair also have little or no choice to nest near mature sitka spruce plantation and face a gigantic challenge to rear young every year. This is very disappointing for this pair after such a successful year last year, lets hope they stay safe over the winter and return next year to give breeding another go next year. This pair are similar to the other three pairs that didn't make it, and a clear pattern is obvious in all cases: sitka spruce/parents away from nests/predation. This has become an all too common occurrence. Pair 6 didn't have their best year in their debut year in the Hen Harrier Diaries, they also didn't make it across the line, we believe they they failed at the early chick stage, lets hope they return next year and have a better time of it. For the young Harriers born this year they are now exploring the world on their own and face the biggest challenge of their short lives surviving their first winter, hopefully the will grace our skies on the hills again next spring. It's now onto the The Irish Hen Harrier Winter survey where we will keep you updated along the way, you can contribute directly to the conservation of the Hen Harrier by reporting any sighting of a Hen Harrier to harriers@ahg.gov.ie. The Hen Harriers from the Hen Harrier Diaries have been working vigorously over the last few weeks to provide sufficient food for their young chicks, unfortunately it has not been all plain sailing for three of our pairs. Penny and her male companion are going from strength to strenght and are kept extremely busy providing for their young chicks, at this moment in time it's unclear exactly how many chicks Penny has or what stage they are at, we do know that Penny is still not sharing the workload of providing food for the chicks and spends the majority of her time at the nest, it could well be that her chicks are still relatively young or it could be that the male ( he is a super male ) is providing a sufficient amount of prey for Penny to remain at the nest with her young, hopefully we will have news of fledglings for the next update. Things are not looking good for Heather's Mom and Dad it's looks like they may not have been successful in their breeding attempt this year, previous watches have not provided us with any activity around their territory and both male and female have not been seen since our last update, we will monitor the situation over the coming days and weeks and hopefully we will have some positive news on the pair for the next update. Pair 3. The Glen Nesters. There is an element of mystery and uncertainty surrounding and specialists, their tranquil Glen has been the subject of intruders (other harriers) since the start of the breeding season,and as believed in previous updates that the female was incubating eggs, we are now almost certain that she is not incubating eggs and has possibly abandoned her breeding attempt before it ever started, the last sighting of the female was on the 27 of april and there has been no sighting of the male in weeks, it's possible with all this activity in her territory that she decided to abandoned this year's breeding attempt in this territory,maybe they have tried their luck somewhere nearby, we will continue to search the surrounding area and we will keep you updated on our findings. This pair chicks are not far off fledging, and both male and female are kept extremely busy providing food for their chicks,this is absolutely brilliant news for this pair as in previous years their chicks have always been the last to fledge, they clearly are on top of their game this year, hopefully we will have news of the first chicks fledged from Hen Harrier Diaries 2016 for the next update. It's highly probable that pair 5 have been unsuccessful with this year's breeding attempt, as with pairs 2 and 3 there has been little or no activity around the nest over the last few weeks, we have witnessed a male in the vicinity a few times but he was showing no interest in the nest, both the male and female were seen flying together on the 16th of June about one kilometre away from the nest this was ominous sign, as with the other pairs we will monitor the situation closely and keep you updated on developments. As we have been focusing the majority of our time trying to establish the exact status and whereabouts of pairs two three and five, we haven't dedicated as much time on pair 6 we would have liked however we can report that as of last week the female was still present at her nest and was seen defending it from Hooded Crow, we will focus all our attention on this pair over the coming days and we will keep you updated. After an extremely busy few months we have finally decided on the six pairs we are going to follow for the Hen Harrier Diaries 2016, the six pairs are all situated in territories from the Stacks to Mullaghariek Mountains Special Protection Area for Hen Harriers, after a few anxious moments at the start of the breeding season all six pairs settled down and are well on their way with their breeding attempt with the females either incubating eggs and some even have young chicks. The young female from the 2015 Hen Harrier Diaries, Penny had an outstanding season last year rearing three beautiful young Hen Harriers, and again this year she is off to a flyer, she has chosen to nest relatively close to last year's nest and is in close proximity to a mature sitka spruce plantation, this is a treacherous location with an abundance of predators lurking nearby, she is currently incubating eggs and we believe she might have at least one chick, the male is now either landing in the nest with food or dropping it straight into the nest this is a good indication that they might be young in the nest. It's wonderful to see this pair back again this year for another attempt at breeding, hopefully they can produce something the same as last year. These two are really making us work hard to find the exact nest location, hopefully for the next update we will have the nest located and maybe even news of chicks in the nest. These two are professionals at rearing young, rearing three chicks last year, they have again chosen the secluded Glen as their preferred nesting location, the secluded Glen was thrown into chaos at the start of the breeding season with another male and female present, the resident male had to use every ounce of energy to show his unwanted guests who the king of this Glen was, all is peaceful now in the Glen, and the female is now incubating eggs while the male is kept busy keeping a watchful eye over his territory and providing his female with food. This pair have again decided to nest in the same location as the previous two years, it's an area where turf cutting is active, last year they reared one chick. Two pairs were active here at the start of the breeding season and we could possible have two pairs, hopefully we will have more information on the second pair for next update, the female of the resident pair is currently incubating eggs, the male is kept busy supplying food for the female and defending his territory from any intruders. After an outstanding breeding season last year rearing 3 Beautiful chicks pair 5 are back again this year, hopefully they can produce the same result again result as last year, they have again decided to nest close to last years nest on a steep slope of gorse and heather, this female is also incubating eggs while the male is extremely busy evicting other males from a neighbouring territories out of his territory. This is a new pair to the Hen Harrier Diaries, they nest in a territory that has records of Hen Harriers breeding as far back as 1955, their preferred nesting location is also a steep Glen covered in heather bramble and bog myrtle, they had an excellent year last year rearing 4 chicks, after a few anxious moments at the start of the breeding season when the female had not returned, she finally returned to take her place alongside the male and is now incubating eggs, the is male is keeping a close eye on proceedings, returning with food and occasionally to check that all is well in his domain.